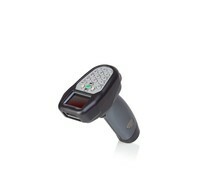 RFID/Barcode Scanner with gun grip and big trigger button for working over the head and scanning of hard approachable codes/tags. 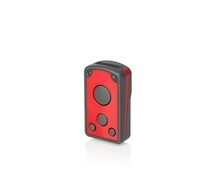 SCANNDYbasic is about the size of a remote control and weighs just 140g, making it easy to carry anywere. 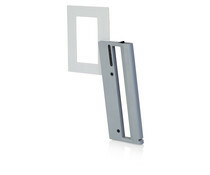 Through its robust, protective rubber cover it survives the roughest work environments. 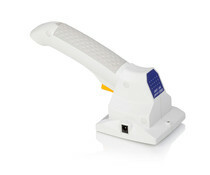 The ID ISC.PRH200 is a compact, wireless handheld reader, designed for contactless data exchange with ISO 15693 transponders, especially suitable for libraries. 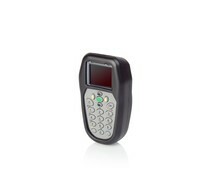 The Handheld Reader ID ISC.PRHD102 is a dual frequency reader which is equipped with an integrated HF-Antenna as well as an integrated UHF-Antenna. 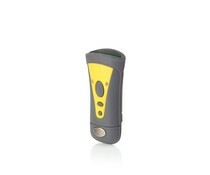 This Bluetooth HF handheld reader operates on rechargeable AA batteries and read 15693 transponders to about 13 cm away. This HF handheld reader ID ISC.PRH101 is a USB version suitable for reading ISO-15693 to be up to approximately 20cm (!). SmartScanndy is designed for users who need a compact, durable and multifunctional device for data collection and real time transactions. 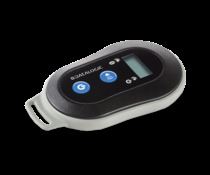 It is the lightest hybrid AutoID device in its class, weighing in at just 80g. 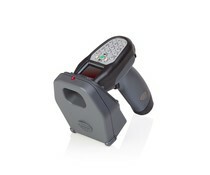 The SCANNDYgun was made to provide maximum flexibility and user-comfort. 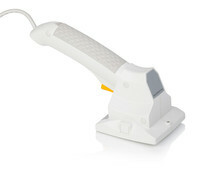 Reads 1D and 2D barcodes, reads and writes RFID UHF/HF/LF and is the lightest UHF reader in the world. Thanks to the ergonomic design, the low weight and the easy handling, the PowerlineEcco+ can be easily carried in the pocket, on a neck lanyard or in a belt. Thanks to the ergonomic design, the low weight and the easy handling, the PowerlineEcco can be easily carried in the pocket, on a neck lanyard or in a belt.